The ASEAN Institute for Peace and Reconciliation (ASEAN-IPR) and the United Nations held a workshop in Jakarta last week that looks at the ASEAN perspective on conflict management and resolution. Despite protests from China to the 2016 international arbitral ruling against its territorial claim, tensions in the South China Sea have been somewhat abating. Despite being a giant economic bloc with high growth prospects, Southeast Asia has not fully reaped the benefits of its potential due to a shortage of advanced and efficient infrastructure. Manufacturers in Asia received fewer export orders in November, as U.S.-China trade tensions continued to sap industrial demand in the region, according to the latest Nikkei Purchasing Managers’ Index survey. Subnational leaders, mayors, government officials and civil society members gathered at the 3rd Asia Pacific Cities Alliance for Tobacco Control and NonCommunicable Diseases Prevention Summit pledged to redouble their efforts at enforcing tobacco control and prevent related noncommunicable diseases. 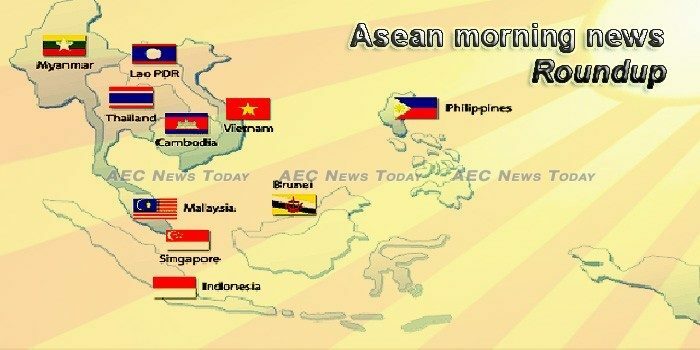 The Association of Southeast Asian Nations (Asean) and the EU have agreed to unlimited cargo flights between the two blocs, as they come close to finalising a comprehensive air transport agreement (CATA). The University of Montana Faculty Senate officially bucked a recommendation from Main Hall to terminate the university’s minor in South and Southeast Asian Studies. Thailand and ASEAN countries get rid of ICOs to support STOs, which they call a next-gen IPO, because of its decentralised and democratic nature and ability to be legally regulated by the government to protect investors from fraud and make the market transparent and legal. Freedom means mobility and more mobility means more freedom. A decade on from installing necessary safeguards, the attitude toward human rights protection in Southeast Asia has barely changed, a former top Indonesian diplomat has said in a scathing review of the human rights discourse in the region. The ongoing United Nations (UN) climate change talks in Poland have emphasised the need for the world to drastically reduce its emissions to avoid the worst impacts of climate change, with many nations arguing that both developing and developed countries should bear the responsibility of doing so. Indonesia has the highest capital expenditure (CAPEX) on planned and announced crude and natural gas projects in Southeast Asia over the period 2018 – 2025, according to GlobalData, a leading data and analytics company. THE 1st ASEAN Rover Moot 2018, hosted by Brunei Darussalam Scouts Association (PPNBD), will be held from December 12-17. Bangkok, Singapore and Kuala Lumpur made it once again into the top-ten list of most visited cities 2018 issued by business intelligence firm Euromonitor International. The ranking is based on both the numbers of total arrivals in 2017 and Euromonitor’s projections for 2018. GLOBAL management consulting firm McKinsey & Company has forecast fast growth for e-commerce in Indonesia, predicting sales to reach US$65 billion (Bt2.13 trillion) annually by 2022, eight times the $8 billion recorded in 2017. LION Air said on Monday that passenger numbers dropped by less than 5 per cent in November compared to a year earlier, after one of its Boeing Co 737 MAX jets crashed in late October killing all 189 people on board. Retail sales in Indonesia grew at a much slower pace at 2.9 percent in October from a year earlier, compared with an annual growth rate of 4.8 percent in September, a central bank survey showed on Monday. Laos and Asian countries look forward to increased opportunities in quality standards improvement for agricultural production and enhanced access to overseas markets. Mobile connections keep us moving, but the fastest speeds are still to be found via fiber optic cable. The Lao Brewery Company, mostly known as Beer Lao, hosted last Friday a reception to celebrate its 45th anniversary (1973-2018). New ways of using digital technology and better air passenger intelligence is spawning new income streams for airport retail, said Malaysia Airports Holdings Bhd (MAHB) general manager of commercial business Hani Ezra Hussin. Mobile internet usage in Sarawak and Sabah are among the highest in the country, Maxis Bhd (Maxis) says, with data consumption having more than doubled last year in the East Malaysian region. Hopes of a speedy resolution to Malaysia and Singapore’s dispute over air and sea boundaries dissipated on Monday as Kuala Lumpur dug in its heels even as it agreed to a dialogue. Three more Kachin youths have been charged under the Peaceful Assembly Act for holding a protest without permission from the authorities, in Myitkyina, the capital of Kachin State, according to local sources. Multilateral lender Asian Development Bank said Monday it will extend loans of up to $2.5 billion annually to the Philippines, or a total of $7.4 billion from 2019 to 2021, to support the government’s ‘Build, Build, Build’ infrastructure program. Demand for office space hit a record 1.5 million square meters this year, as the strong take-up by the online gaming industry offset the slowdown in demand from the business process outsourcing sector, real estate services firm Leechiu Property Consultants said Monday. The Management Association of the Philippines (MAP) has recommended lower tax level for gratuitous tax of real property. Singapore is disappointed that Malaysia has refused to return to the status quo before it extended the Johor Bahru port limits but welcomed its neighbour’s pledge to de-escalate the situation on the ground, said the Ministry of Foreign Affairs (MFA) on Monday (Dec 10) in response to . Works to complete a road viaduct linking the Tampines Expressway (TPE) to the Pan-Island Expressway (PIE) – which collapsed last year, killing one worker – will begin in the first quarter of next year, the Land Transport Authority (LTA) said on Monday (Dec 10).